Furnishings that outfit the hotel suite that’s a second home to the residents of Buckingham Palace inspired this tufted velvet headboard. 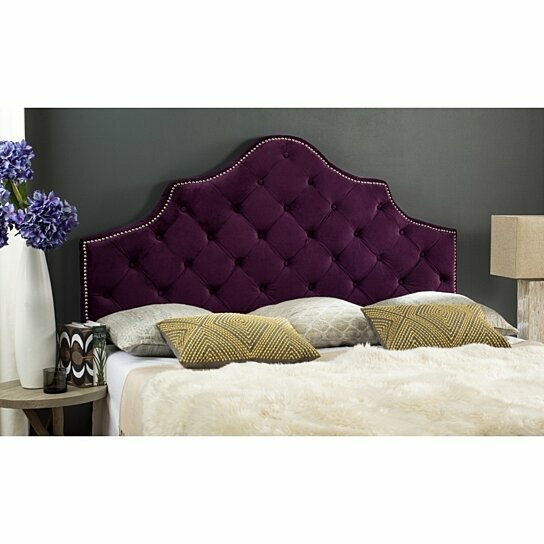 Designed for the boudoir of the modern princess, its aubergine upholstery is adorned with polished nailhead detail. Full Size:56.3" x 3.5" x 54"
Queen Size:62.2" x 3.5" x 53.9"